Did you know Green River offers on-site housing? The ability to be part of university-style housing in a community college environment. Living with students from around the world. The residents at Campus Corner Apartments are a blend of U.S. and international students. Natural Resources students can live in one unit. 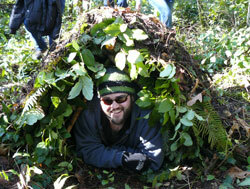 Instructors Rob Sjogren and Monica Priebe invite you on a learning adventure of a lifetime in the Outdoor Classroom. From beach sands to 7,600 ft. high wilderness ...come backpacking with us to explore America's choices in outdoor recreation. Compare the opportunities of both private and public land ownership. Along the way, study our native Washington trees and flowers, learn plant identification skills, and discover the three different ecosystems of the Northwest. Total costs: Tuition + $160.00 for meals and expenses, includes the $50.00 non-refundable deposit. This class is offered every other summer; next: summer 2017! A program developed three years ago, the Veterans Conservation Corps is bringing with it some incredible people, people with the core values of Loyalty, Honor, Integrity and Respect. Professionals will want to look closely at this program for two really good reasons. First, because they volunteer for work! And second because many of these people are soon to be available for hire. It’s called the Veterans Conservation Corps and it’s the result of a conversation between two men, Washington State Senator Ken Jacobsen and Tom Schumacher of the Washington Department of Veterans Affairs, from that fortunate meeting legislation was passed and the Veterans Conservation Corps was created. The purpose of the Veterans Conservation Corps is to assist veterans by providing volunteer opportunities on projects that help restore Washington’s rivers, streams, lakes, marine waters and open lands. How does that help veterans? It helps in three ways: for starters there are the rehabilitation benefits to be gained from doing conservation work. Then there is networking with prospective employers like private consulting companies, city, county, and federal agencies. And finally it provides educational opportunities leading toward a degree in Natural Resources, Water Quality, or GIS. - Read More. 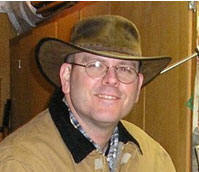 Michael Farnum (pictured above) originally from Honolulu Hawaii and recently retired from the US Army and completed the AAS in Natural Resources - GIS at Green River Community College. Michael’s career goals are to work in research and analysis with GIS in forestry or wildlife management. 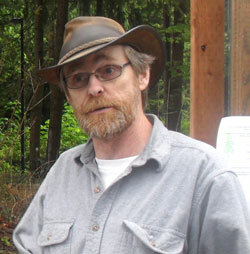 Michael is a team leader with the Veterans Conservation Corps, the Green River Society of American Foresters. His military career fostered a passion for the outdoors. The VCC and Green River College are providing the tools needed to start a second career which will allow him work in the best office ever made, our forests. 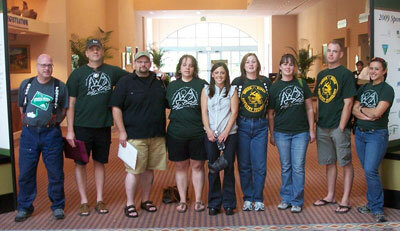 The Green River Community College SAF Student Chapter website placed second in the national SAF competition. The goals of the Green River College Student Chapter of SAF are education, knowledge, experience, and fun. Representatives of the Student Chapter attended the national SAF convention in Orlando in October. Student Paula Kaiser created a new Chapter website www.grccstudentsaf.com which placed second in national competition. The Chapter also entered the forestry Quiz Bowl for the first time, competing against university juniors and seniors. They won the first round and went out in the second round on an appeal judge’s ruling of the answer. Wait until next year! Paula Kaiser was selected nationally as one of eight Diversity Ambassadors for the SAF. Natural Resources-GIS student Dan Alden submitted a poster “A Canopy Height Model for the Lincoln Tree Farm, Washington” and was selected as moderator of the Emerging Technology Poster Symposia on Friday. The Green River College Student Chapter hosts “Mentoring Night” which provides opportunities for students and professionals to discuss careers and summer jobs. It also annually hosts “Wreath-n-Feast,” a dinner with South Puget Sound SAF Chapter followed by wreath-making in December. Each January, student chapter members attend the SAF Leadership Conference which is always informative and invigorating. Chapter members attended South Puget Sound Chapter, Southwest Washington Chapter, North Olympic Chapter, and North Puget Sound Chapter meetings this year, meeting lots of mentors and potential employers. The Student Chapter funded lodging for attendance at the Oregon Logging Conference, with side trips to the World Forestry Center and College of Forestry at Oregon State University. The Chapter organized a trip to the Olympic National Forest, looking at Forest Service forest management strategies, decommissioning of roads, and stream restoration projects. The Washington SAF annual convention in La Conner, WA focused on opportunities and challenges in uncertain times with presentations on timber supply, land use, biomass, forest certification, climate change, and a field trip viewing forest management and forest practice regulations. The Inland Empire SAF annual convention in Wallace, ID commemorated the 100th anniversary of the “Big Blowup” wildfires of 1910 in northern Idaho. Two highlights were meeting and listening to Bob Salle, last surviving smoke jumper of the Mann Gulch Fire of 1949, and a hike to the War Eagle mine where Ranger Ed Pulaski led his 45-man crew to safety when the Coeur d’ Alene River Fire overran them. The Green River College Student Chapter is the caretaker of two outstanding displays. 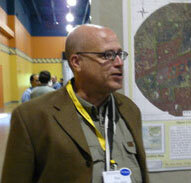 The “Wildfire in Washington” display was up at the Forest Landowners Expo in February. The “Biomass in Washington” display has been at Puyallup, Clallam, and Cowlitz County fairs, SAF meetings, protection organization conferences, and the Lacey Alternative Energy Fair. Student Chapter members volunteer at the Washington Society of American Foresters display at the Western Washington Fair (Puyallup) each September. The Green River College Student Chapter of Society of American Foresters works closely with the Green River College Forestry Club. All members of the Green River College Student Chapter are also members of Forestry Club, a sanctioned club of Green River College. Forestry Club and the SAF Student Chapter cut, split, and deliver firewood at $200/cord to raise money for activities and conferences. Forestry Club wins Green River Community College Event of the Year Award for 2009-10! With an aspiration to propagate seedlings for restoration and reforestation projects, and a supplement to the Veteran’s Garden, a greenhouse was desired for the Natural Resources program. Forestry Club members contacted Ove Pearson, a local retired nursery owner, who donated a 28’ x 30’ frame of a damaged greenhouse. The Forestry Club pulled together a number of donors and sources to complete the greenhouse for dedication to Ove and Helen Pearson on May 26. Forestry Club educates on campus and in the community during the week of Earth Day and Arbor Day, including a display inside the Student Center and conifer seedling sales and planting. Other educational activities are a forestry/natural resources booth at the Western Washington Fair, assistance hosting the 2nd Annual Family Forest Expo, hosting the 8th annual FFA Forestry/Natural Resources competition, and a Puyallup High School forestry learning opportunity. Forestry Club provided assistance with “Giving from the Heart” holiday baskets, assisted a student’s family following a fire, providing wooden outdoor toys/decorations for the Green River Community College Childcare Center, litter cleanups, and providing CPR/First Aid classes to its members. Fun and promotion include entries in the Buckley, Morton, Auburn, and Hoquiam parades. It’s 1978 Chevrolet 650-gallon wildland-fire tender placed 1st place in Logging Support vehicle category at the Hoquiam Loggers Playday Parade. Forestry Club maintains a log cabin at the Pat Cummins Managed Forest. Natural Resources Internship (NATRS 294) is your last spring quarter and a 14-credit course. Students must obtain and work in paid positions for the quarter or longer. Some even end up in permanent positions. Employers include federal, state, county, and municipal agencies, private industry, associations, and consulting companies. Students have completed internships in Alaska, Washington, Idaho, Oregon, California, and Wyoming. The Advisory Committee is made up primarily of alumni of the Forestry/Natural Resources programs at Green River. They provide guidance, direction, and suggestions regarding curriculum, facilities, equipment, instruction, and student employment. Each year’s Silviculture class members are responsible for a research plot investigating a natural fungus found in the tree roots: laminated root rot, or Phellinus sulphurascens. The Natural Resources program at Green River College is the primary investigator with the Washington Dept. of Natural Resources pathologists in a 10-year study researching the susceptibility of Douglas-fir to laminated root rot (Phellinus sulphurascens). This fungus kills Douglas-fir by weakening the root systems so that the tree cannot take up water and eventually often blows down. Students have completed the eighth-year measurements of the Phellinus sulphurascens plots in the school forest. There have been some Douglas-fir seedlings killed by laminated root rot, but not enough data has been accumulated at this time to do any analysis. The Natural Resources program, with the help of Forestry Club and the Student Chapter of SAF, manage the school forests near Auburn and Enumclaw. Over 160 acres of forest at the Auburn campus—the majority 115 year-old Douglas-fir with some younger diverse stands—is managed for education, recreation, wildlife, research, and revenue. Neighbors, students, instructors, and staff jog the 5 miles of paths, bird-watch, bicycle, ride horses, fish, and view Mt. Rainier in the forests that stretch from the back doors of campus to the Green River. Deer, elk, coyote, owls, bald eagles, hawks, woodpeckers, and smaller wildlife are viewed and studied here. Students learn by doing, such as planting seedlings, measuring and appraising trees, measuring and calculating stream flow, constructing a bridge or recreational shelter, and observing and noting the habits of a pileated woodpecker. Trees that blow down in windstorms are salvaged for Forestry Club/SAF firewood sales. The Pat Cummins Managed Forest east of Enumclaw also has trails used by recreationalists. Located on the White River with a large log cabin built in 1978, it is another outdoor classroom, as well as home to cougar, bear, elk, and smaller wildlife. The Wildfire classes practice prescribed burning and suppression. 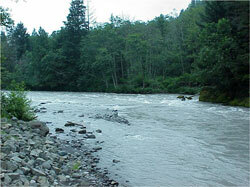 Salmon are released below the cabin by the Corps of Engineers to finish their migrations upstream. This forest was named for the founder of the program, Professor Emeritus Pat Cummins. Oregon white oak, once a native tree of the Washington prairies, is being grown in two locations at the Auburn school forest. Veterans’ Garden and Greenhouse: The Veterans’ Garden was created as a place our Veterans could work with their hands and ease their memories. Sustaining the physical, mental, and emotional attributes of our Veterans is important to those in Natural Resources. Ove & Helen’s Greenhouse supplements that endeavor. Biodiesel was made in a spring quarter “Biodiesel Basics” class. The Natural Resources program has a biodiesel converter and is working to move it from demonstration mode to operational mode. The newest 4x4 bus for the program can run on biodiesel. Wilderness Survival—because so many of the students in Natural Resources spend time climbing, hiking, fishing, and exploring, sustaining themselves in emergency situations is vital. Wilderness survival, CPR, and first aid classes are taught by our experienced students to others. 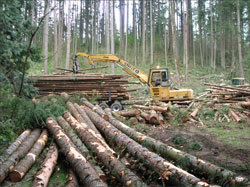 The Natural Resources program at Green River College manages the Lincoln Tree Farm for the Tacoma School District. 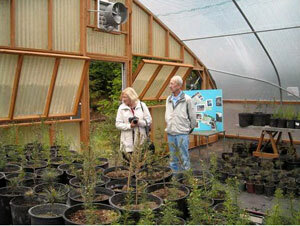 The 320-acre tree farm located south of Spanaway, WA has a mix of second-growth age classes. It is managed for K-12 and college education, recreation, wildlife, and sustainable revenue harvests for Tacoma schools. For example, Green River Community College students plan small timber harvests with reforestation prescriptions, write the application, bid the harvest contracting, do the compliance, conduct site preparation, replant, and monitor the new forest. The Green River College Natural Resources program is installing a new interpretative display in Bunkhouse #3 at Camp 6 near Tacoma. It will be completed summer of 2010. Drew Paganucci’s background was in construction and he might have been called Foreman, Superintendent, or “Supe,” but we call him Super. Drew takes charge when needed without fanfare and gets things done. He was the Supe for the greenhouse salvage and reconstruction, led students in cleanup following a fire in a fellow student’s home, and stepped up as an active Student Chapter Chair.